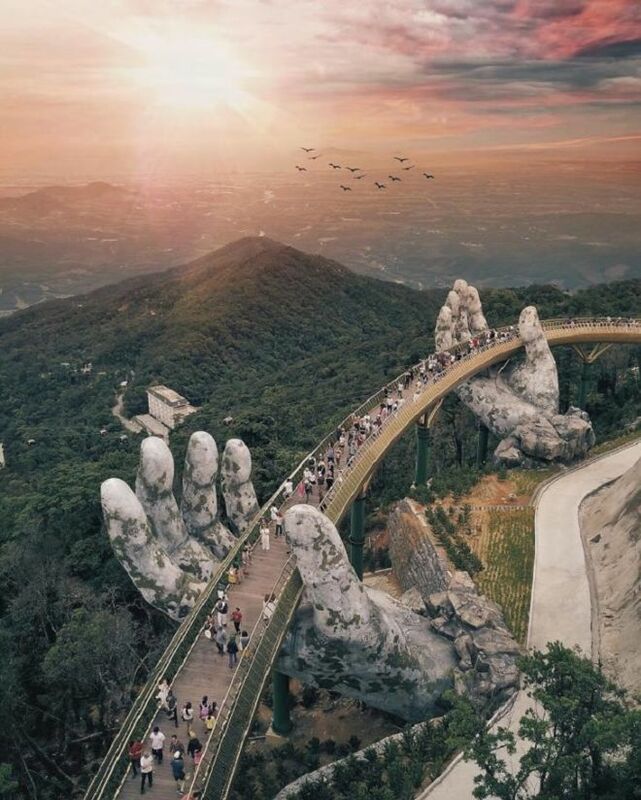 A bridge just outside Da Nang in Vietnam is wowing visitors with its elegant design – seemingly being held aloft by two huge stone hands. 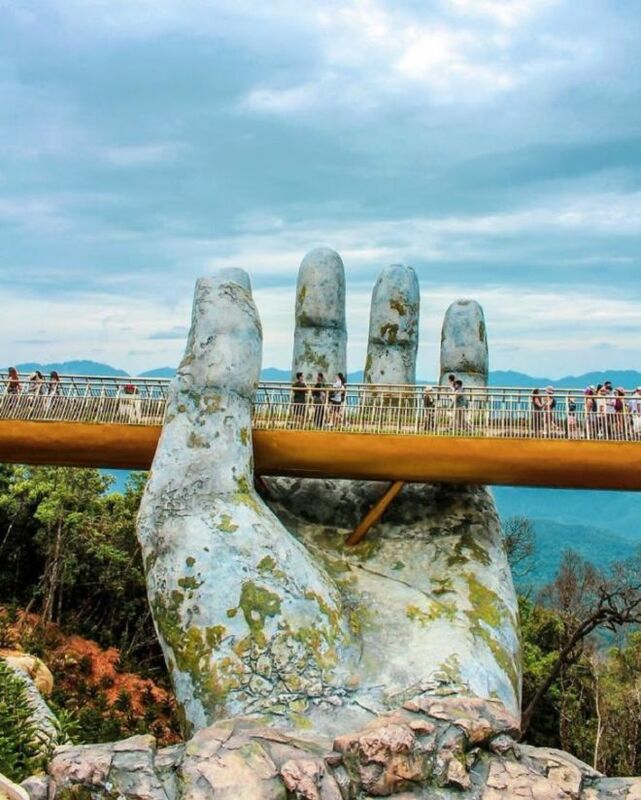 Known as the Golden Bridge, it stands 4,500 feet above sea level above the Ban Na hills, offering stunning views of the majestic countryside. The gold-colored walkway is lined with purple Lobelia Chrysanthemums and is almost 150 meters long, curving around in an elegant design. 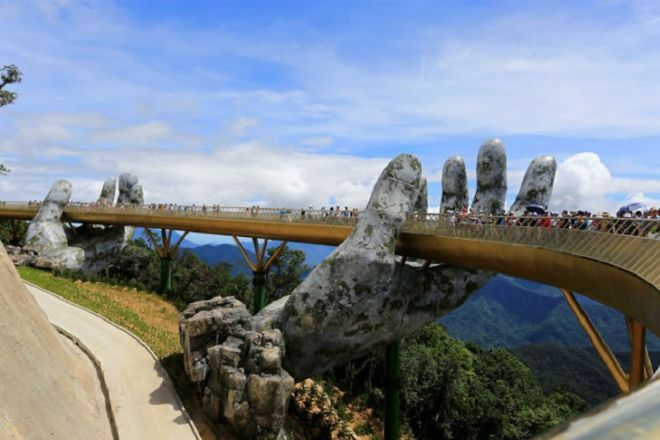 However, it is the aforementioned stone hands that give the bridge its true wow factor. 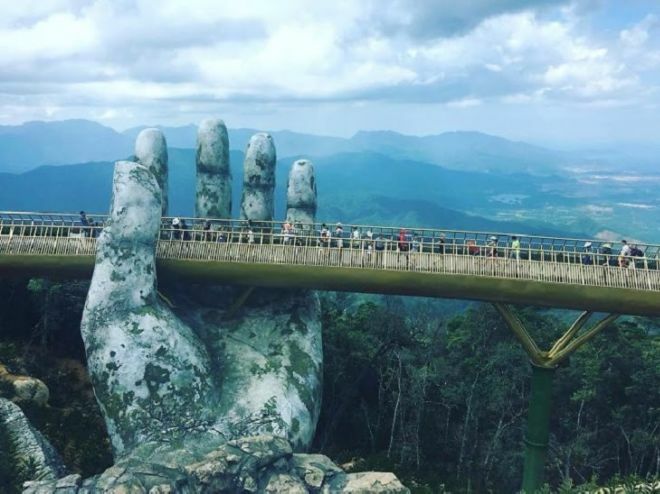 Vietnam has experienced a tourism boom as more and more people hear about the beauty of this remarkable country, and this structure is part of a $2 billion investment to bring even more than the 1.5 million visitors the area receives each year. 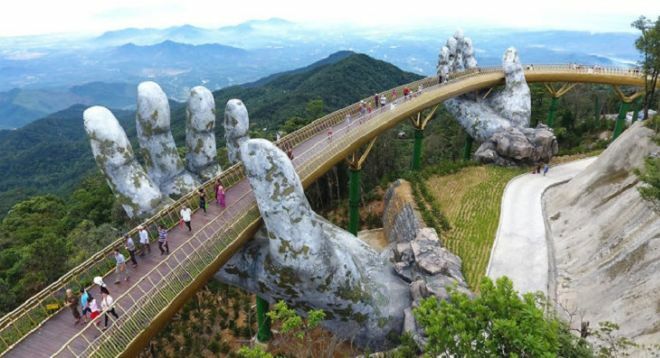 Scroll down and take a closer look at this stunning bridge!